Get it exclusively at Target. Justina Blakeney’s signature bohemian style has been deeply influenced by her own global travels, so her latest project feels perfectly organic. The Jungalow founder is launching her own travel line exclusively available at Target, and with prices all under $140, it’s an accessible way to give your travels a bit of a boho twist. 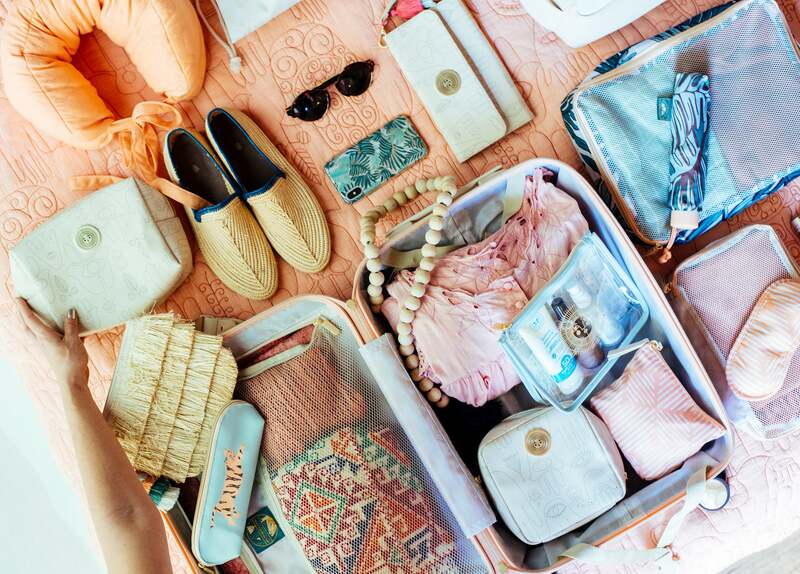 Included in the collection are hardshell suitcases in shades of turquoise and peach, as well as a number of varied totes and backpacks that come in sunset-inspired hues and tropical patterns. Protective iconography is a constant throughout, with hamsas, tassels (used in many cultures to ward off evil), and Blakeney’s trademark sun motif appears on everything from a travel wallet to storage pouches. The designs stand in total opposition to the bland travel accessories you might snag in the airport—in fact, they might even inspire you to not leave your packing to the last minute. Better yet, with the collection’s bright hues, you’ll spot your luggage from a mile away on the carousel and never run the risk of leaving the airport with someone else’s suitcase. Starting on February 10, the collection will be available exclusively in Target stores and online—consider this an excuse for you to pack up and head somewhere warm for an impromptu vacation.